Lakes Entrance Helicopters is open for business from November 1st, 2018. We are operating Scenic Flights from the Lakes Entrance Airfield at Kalimna West, Lakes Entrance. Select from a range of Scenic Flights. 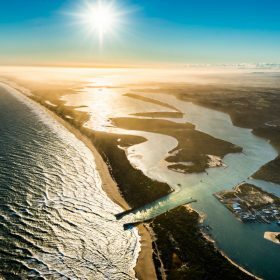 Enjoy the stunning views of the Silt Jetties, Lakes Entrance and Ninety Mile Beach coast line. 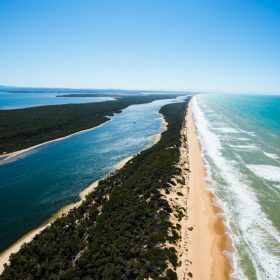 Description: Fly past Fraser Island and Flannagans Island, along Ninety Mile beach toward The Entrance then inland back to the airfield. 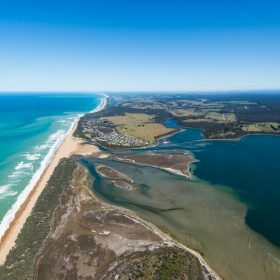 Description: Fly over The Entrance and along Ninety Mile beach to Lake Tyers then inland back to the airfield. Description: Fly over The Silt Jetties then head towards Paynesville and Raymond Island and back to the airfield. 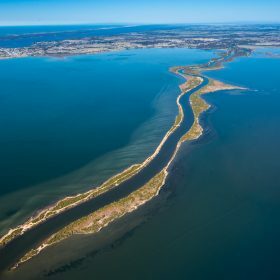 Description: Fly over The Silt Jetties then head towards Paynesville, Raymond Island, The Lakes National Park then east along the Ninety Mile beach and back to the airfield. 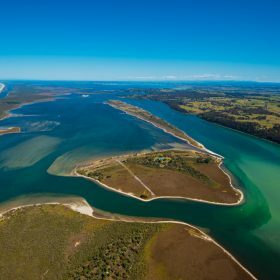 Description: Fly over The Silt Jetties then head towards Paynesville, Raymond Island, The Lakes National Park then east along the Ninety Mile beach, past The Entrance and onto Lake Tyers before heading inland and back to the airfield. Bookings are essential, visit our website. Lakes Entrance Airfield is on the Princes Highway 5 Kms before entering Lakes Entrance from Bairnsdale. This entry was posted in Events, News and tagged Lakes Entrance.